It's time for our weekly podcast! 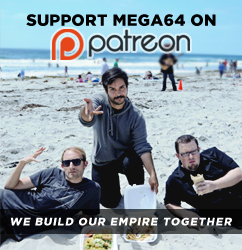 This time we talk about the crisis that we at Mega64 went though this last week. We also cover,Â Coachella, The Aquabats Super Show, our Legend of Zelda: Skyward Sword skit. So many things...Listen up here! That's all for now! Check out our new merch, then go have a nice day!